Want to know where your food comes from? Would you like to chat with a local farmer? Looking to explore new green spaces? 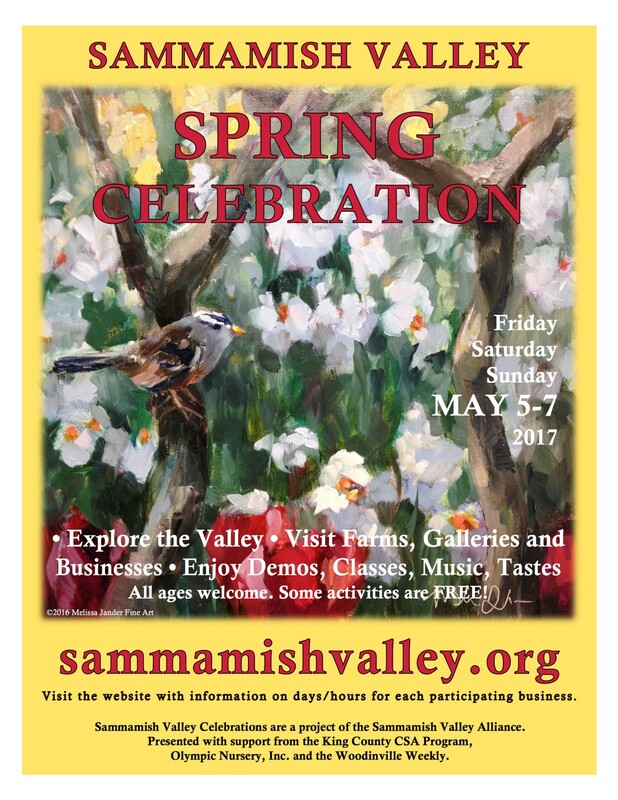 Make a plan to attend the Sammamish Valley Spring Celebration, Friday to Sunday, May 5-7th. Stop by the farms and businesses that support our agriculture community. Enjoy a variety of activities throughout the weekend that celebrate spring: there will be farm tours, chef demos, classes; sample freshly pressed apple cider and taste farm-fresh food; or just get the family out of the city and enjoy a peaceful nature walk in a farm field. Each location has its own schedule of events during the Celebration. All ages are welcome and most activities are free. Participating farms and businesses include: 21 Acres, Gathering Fabric Quilt Shop, Off the Branch Farm (formerly Minea Farm), Molbak’s garden + home, SAgE Sammamish Valley Student Farm, Sammamish Valley Farm, Sammamish Valley Grange, Tonnemaker Valley Farm and the Woodinville Heritage Museum. Visit sammamishvalley.org for more information, a map, and links to each farm and business. 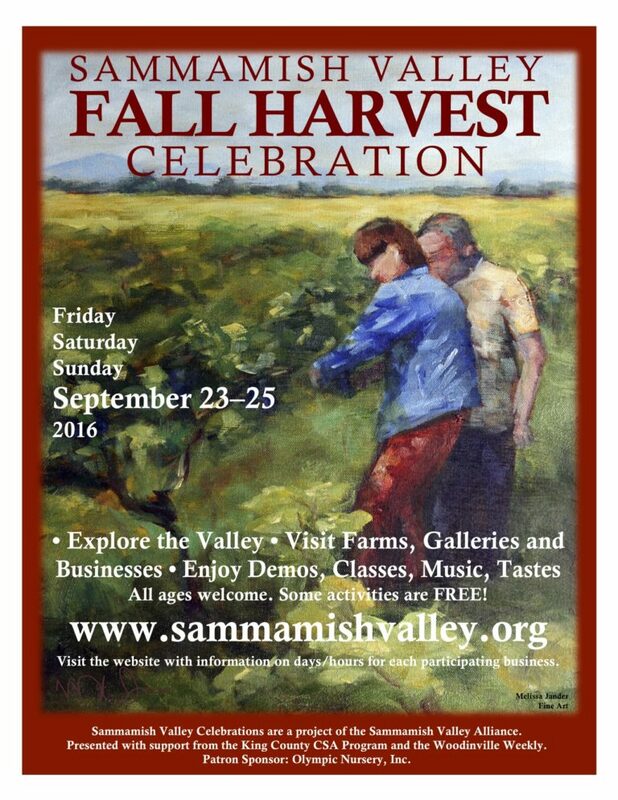 You can also stop by the Sammamish Valley (SVA) info table off the River Trail on Saturday and Sunday, 11-3, (with trail access to participating farms) to find out more about activities, and get information on how you can support local agriculture. The Spring Celebration is presented by SVA with support from the King County CSA Program, the Woodinville Weekly and Olympic Nursery, Inc.